Master the art of creating your own professional-looking mobile videos by signing up for this fun, information-packed master class. Create your OWN mobile videos instantly without having to pay $$$ for an editor every time. Increase your social media engagement through videos that can be seen by thousands. Position yourself as the Subject Matter Expert in your field. Learn how to avoid the most common video mistakes everyone makes that kill your credibility. In this coaching program, I will share with you the video-making process, tips based on experience, and PROVEN techniques on how to create engaging business videos. 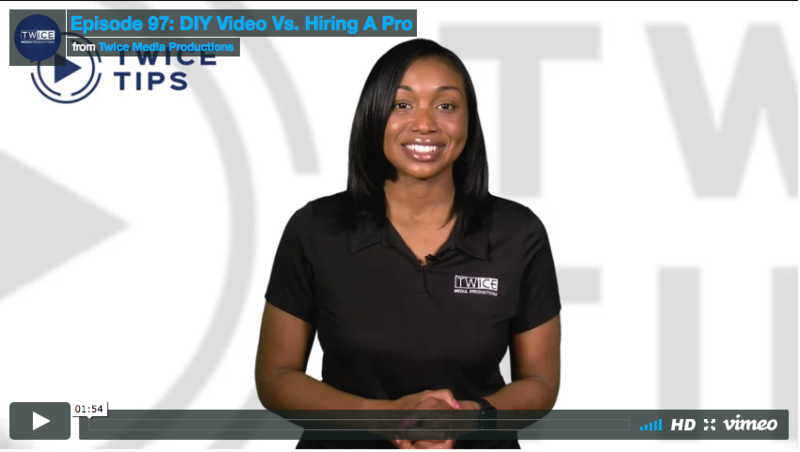 Leveraging my RICH EXPERIENCE, profound video production knowledge and unmatched video-making expertise, I have developed this program to help marketers and small business owners who want to save time and money by producing their own professional video content. This program is based on six COMPREHENSIVE and WELL-DEVISED modules, that provide participants detailed understanding and guidelines on how to create videos with mobile phones. In this coaching program, I will share with you the video making process, tips based on experience, and PROVEN techniques on how to create engaging business videos. If you're looking for help taking your video and digital marketing to the next level, be sure to checkout the The Twice Team, where you can find experts to help you develop a successful video marketing strategy. Hi! I am the CEO and Creative Director at Twice Media Productions. I bring a wealth of knowledge and familiarity within the technology and digital marketing fields. In addition to creating and growing a successful, full-service video marketing and production business, I also have extensive experience teaching others how to shoot better videos. I started as a media trainer for the Freedom Forum Diversity Institute in Nashville, Tenn., in 2009, where I taught the basics of photography, audio and video production. I then went on to teach video production at Prairie View A&M University. I received my Bachelor of Arts degree in English from Tennessee State University and my Master of Arts in Journalism and Documentary filmmaking from Michigan State University.